It is becoming increasingly obvious that there is a place for both pharmaceutical and natural medicine in our world. To get an introductory feel for when to use which, we spoke to an integrative doctor and friend of ibiCASA: Dr Marja van Engelen (Sta. Eulària). Please tell us a little about integrative medicine. Integrative medicine is the combination of the practices and methods of natural medicine with conventional medicine. Why do you personally combine both techniques? There are many ways to look at any condition. With the orthodox training I have, I can understand the original diagnosis and conventional doctor’s way of thinking. With my integrative experience, I then look deeper into the causative root of the problem to help find a solution that is more effective, longer lasting and gentler on the patient. What inspired you to get involved with integrative medicine originally? After receiving full medical training, I worked in internal medicine for 2 years. I repeatedly saw people enter the hospital chronically ill, leave after a couple of weeks seemingly cured and then return with the same condition a month later. It started to feel like a very expensive and pointless medical treadmill that people were stuck on. It became very clear to me that without treating the root of a problem – nutrition, lifestyle and emotional wellbeing – a condition could never be entirely healed. I have since spent 29 years in integrative medicine. My main specialty being orthomolecular therapy which uses naturally occurring substances such as vitamins, minerals, amino acids & hormones to naturally correct the body’s biochemistry. Do you have some patients that never use conventional/pharmaceutical medicine? Yes, many of them. It is their own choice. But I will certainly prescribe it in life threatening situations or if a patient specifically requests it. For those less familiar with alternative and integrative medicine, when would it be best for them to still seek conventional intervention? For critical life threatening and sudden onset diseases and emergencies needing fast diagnostic response: IE Severe trauma, bone breaks, major head injuries, sudden chest pains or palpitations, acute lung diseases such as pneumonia, severe neurological conditions, high fevers and anaphylactic shock. 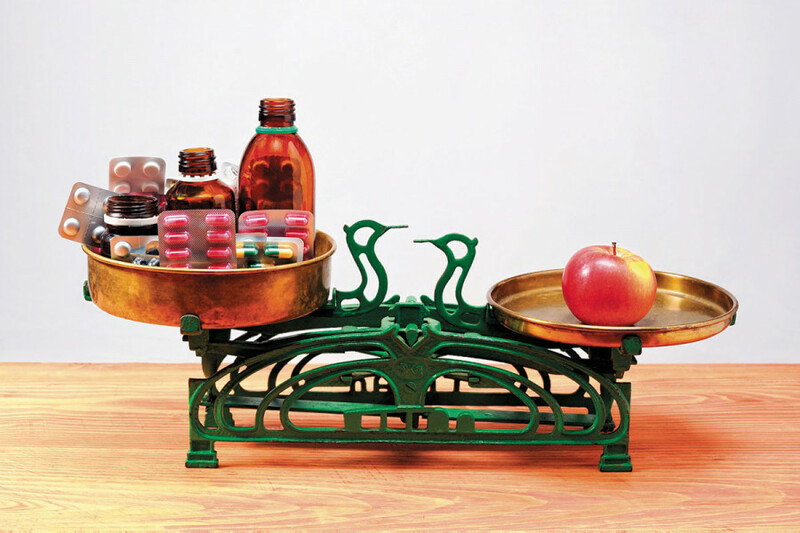 How can people start to introduce integrative or alternative medicine into their lives? Integrative or alternative medicine is invaluable in treating long term conditions that either cannot be cured by conventional medicine or continue to need pharmaceutical intervention. For instance, sleep disturbances, stress and stress related symptoms – such as asthma, eczema, psoriasis, chronic fatigue, headaches, back and neck pains. Some people that have been burdened with these things for years can suddenly recover fast when treated with a different approach. Why are all doctors not trained in integrative medicine then? Medical education is largely sponsored by the pharmaceuticals. So the curriculum is pretty well dictated by them and excludes natural, herbal and nutritional training. In my 6 ½ year medical training, only one day was dedicated to nutrition. This is shocking considering the impact we now know diet to have on people’s health. Are there still things we should thank conventional medicine for? Yes. The discovery of Penicillin was an enormous breakthrough in medicine. As were diagnostic tools like X-rays and MRI scans. Certain specialised surgical procedures – particularly in the neurological arena – also deserve acknowledgement. However, the flipside of these breakthroughs is that some doctors have ceased to trust their instincts and personal diagnostic skills which moves them further away from taking a more holistic diagnostic approach. What are your thoughts on antibiotics? I only prescribe them in a few cases or if it is the patient’s explicit choice. I don’t prescribe antibiotics for viral infections. 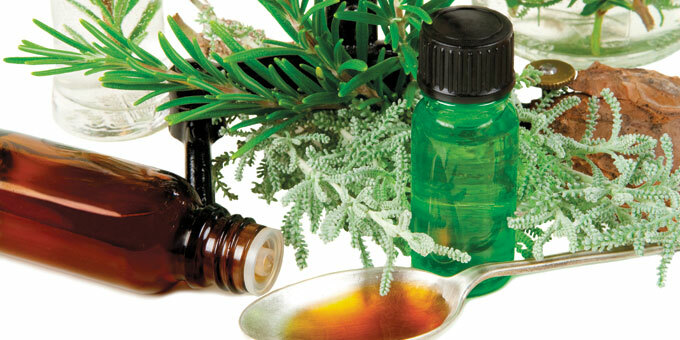 They are useful in treating severe bacterial infections. Except in life threatening situations, antibiotics should only be prescribed once the specific bacterium has been identified through clinical testing. If you do take antibiotics, it is important to know that they kill both good and bad bacteria in your system. After taking a course, it is vital to restore the balance of fauna and flora in your intestines by taking Probiotics. Long term use of antibiotics can cause significant health disturbances and affect the immune system. Why do most conventional doctors not mention any of this? On the subject of things that aren’t explained, why are we always told to finish the course? Antibiotics attack the bacteria that are causing your illness. Even though you may feel better, there is still a residue of the bacteria in your system. When you stop your course abruptly, the remaining bacteria are given an opportunity to mutate into a new strain that is resistant to that particular antibiotic. There are only a certain number of antibiotics available for the different infections, so you make yourself very vulnerable in case of a new infection or bacterial attack when, unbeknownst to you, you have created a resistance or are infected with a resistant strain of that bacterium. Is it a myth that non-pharmaceutical intervention takes longer to work? Deciding what approach to take in your health management is a very personal decision. This article is intended solely for the purpose of giving you information about the field of integrative medicine, and is not in any way meant to discourage you from seeking a conventional medical diagnosis.